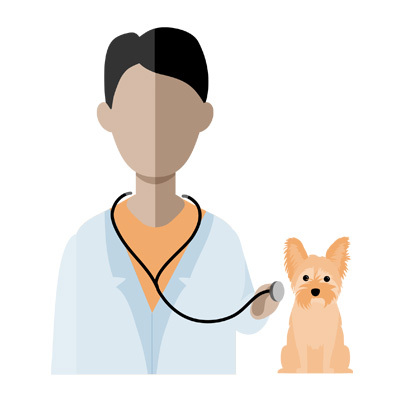 As the key to prevention of disease or illness, a comprehensive physical examination is the first and most important step you as an owner can take to ensure your pet’s well-being and long-term health. The information taken by your RPAH practitioner at the initial examination becomes part of your pet’s permanent medical history. This data establishes a baseline against which any subsequent changes in clinical signs and symptoms can be assessed. In addition, any deviations in your companion animal’s behavior–his or her main form of communication with you–is important in the early detection of health problems and the reduction of potential risk factors. These factors can be critical if an emergency or sudden illness arises. 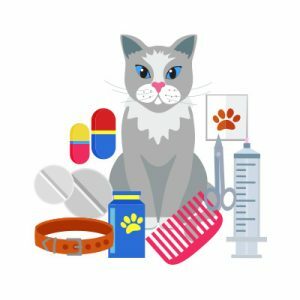 Your RPAH veterinarian will pay special attention to a host of important, health-related items, including the development of your animal’s teeth and enamel, abnormalities of the eyes, the absence of parasites in the ears, the presence of hernias, laxity or abnormality of the joints, normal heart and lung sounds, and optimal conditions of the skin and nails. 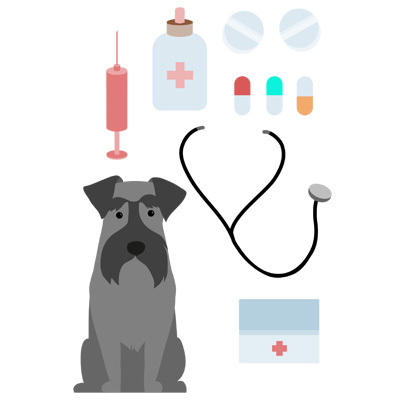 To preserve the health status of your pet, it is recommended that he or she receive yearly physical examinations, which is the equivalent of a human being going to the doctor about once every three years. 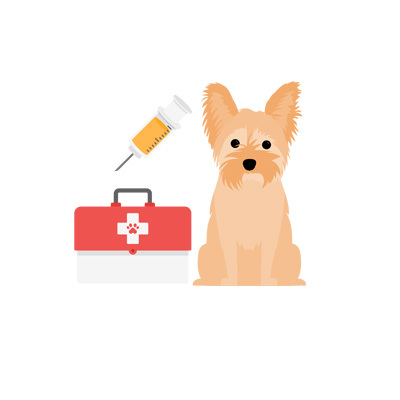 Required vaccinations for your pet are vital to a proactive, preventive, and conscientious approach to ensuring your pet’s health status and quality of life. The frequency of immunizations will depend on a variety of factors: animal’s age, vaccination history, and the duration of protection of the vaccine. In addition, animal health care threats vary by locale. An immunization schedule that is species-specific, location-specific, and consistent with your pet’s lifestyle will be recommended by your veterinarian. Typically, mature dogs will be protected against distemper, hepatitis, leptospirosis, parainfluenza, parvovirus, kennel cough, and, of course, rabies. Adult cat immunizations include panleukopenia (distemper), rabies, feline rhinotracheitis, calicivirus, chlamydia, and feline leukemia. Today, pets are living longer than ever before. As a result, older pets can develop a variety of conditions and ailments that can be easily detected by performing annual blood work. We use senior testing to promote early detection and treatment of disease so we can maintain health and prevent illness during your pet’s senior years.Early detection of disease often gives us a more effective and less costly treatment options. Senior testing also helps establish baseline values for your pet, creating a point of comparison for the future. 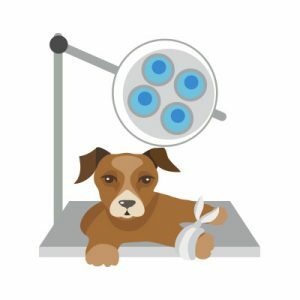 Your pet is as important to us as it is to your family, and that is why we have a unique approach to surgery. Reducing the standard of surgical care to reduce the cost of your pet’s surgical procedure can potentially cause her to feel pain and even compromise her safety, which is not an option for us. Our compassionate, personalized, high standard surgical care is designed to give your pet the most comfortable experience. Veterinary pre-surgical physical exam: Your pet can’t tell you if he feels bad on the day of his surgery. The exam ensures he is not running a fever and is in good physical condition. Pre-surgical lab work: Your pet may look healthy physically, but we need lab work to tell us how your pet’s body is functioning internally. It can tell us if there is infection, anemia, or any abnormal organ function that can inhibit your pet processing anesthesia correctly. Pre-surgical pain injection: Controls pain from the beginning. IV catheter and IV fluids: Ensures we have access to your pet’s vein and ensures blood pressure stays high enough to provide sufficient blood supply to vital organs as well as prevent dehydration. Anesthesia: Your pet is intubated and we use gas anesthesia. It is a short-acting inhalant anesthesia that is processed through the body within seconds, making for a faster and safer recovery for your pet. Surgical monitoring: We monitor many vital functions–including respiration rates, pulse oxygen levels, body temperature, and heart rate. With this monitoring, we can adjust anesthesia levels as needed. Postoperative nursing care: Our veterinary technicians skillfully monitor your pet for any signs of postoperative complications and maintain a clean and comfortable recovery. We know you worry about your pet, and we want you to have a good experience. We will call you afterwards to discuss your pet’s procedure, recovery, and post-operative instructions. Post-procedure discharge consultation: Eliminates confusion because she will explain post-operative care instructions, medications, and answer any concerns you may have. No food after 10 pm the night before surgery. Water can be given the night before but take it away the morning of surgery. 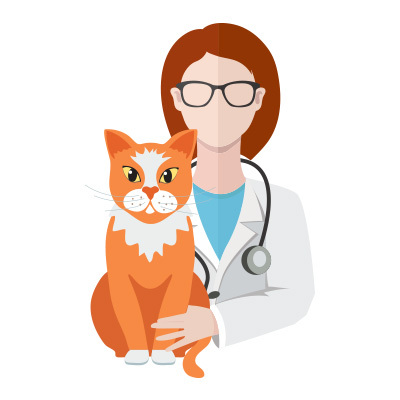 Always check with your pet’s doctor before giving any medication the morning of surgery. Surgical admitting is between 8:30 and 9:30 am. Please allow 15-20 minutes during admitting for our Surgical Technician to go over paperwork and answer questions. Why dental health is important? Did you know about 85% of dogs and cats have some form of periodontal disease? Proper dental care is critical to a pet’s overall good health. If oral infection such as periodontal disease is left untreated, bacteria can travel through the bloodstream and damage heart, kidneys, and liver. Animals can suffer the same kinds of dental problems as humans, including infection, severe pain, and fractured teeth. Schedule regular professional teeth cleanings by Roselle Park Animal Hospital. Should your doctor determine that lab tests would prove useful as diagnostic tools, Roselle Park animal Hospital on-site laboratory is well-equipped with cutting-edge technologies that provide reliable, prompt results. If possible, avoid flying your pet as checked cargo during times when temperatures on the ground are likely to be below 40ºF (4 C) or above 80ºF (21 C). Some airlines will not check pets as baggage in the summer months because of potentially hot conditions in the cargo holds. Take direct flights and try to avoid connections and layovers. This eliminates missed baggage connections and the chance that your dog will be left exposed in extreme weather. 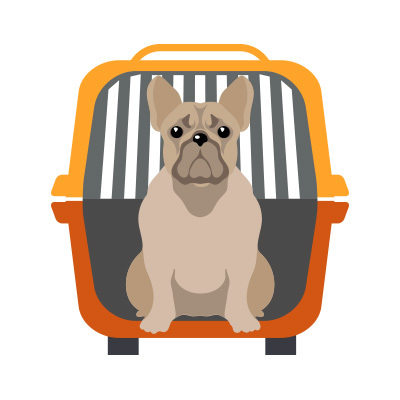 If possible, use airlines that hand carry your dog (inside the cage) to and from the aircraft. Otherwise, the cage could simply be placed on a conveyor belt. Do not feed your dog for six hours before the flight; allow water until flight time. Water should be available in the cage during the flight. Give the dog fresh water as soon as it arrives at your destination. Avoid the busiest travel times so airline personnel will have extra time to handle your dog. Do not tranquilize your dog without first discussing it with your veterinarian. Make sure the cage has specific feeding and identification labels permanently attached and highly visible. Baggage liability limitations apply to your dog. Check your ticket for liability limits or, better yet, speak directly with the airline. If you are sending an economically valuable pet, you may want to purchase additional liability insurance. Be aware that airline travel may pose a risk for dogs with a pre-existing medical problem. For example, you should carefully consider traveling by plane with a dog that has kidney or heart disease. Also, one study has shown that short-faced breeds of dogs (English bulldogs, Boston terriers, Pekinese, etc.) do not travel well in certain situations. Discuss these issues with your veterinarian prior to travel. The cage should be large enough for your dog to stand up and turn around freely. Crates are available for dogs from two to two hundred pounds. Make sure it is an “airline-approved” crate. The walls of the crate should be strong and waterproof. This will prevent crushing and waste (urine) leakage. There must be adequate ventilation on at least three sides of the cage. The cage must have sturdy handles for baggage personnel to use. The cage should have a water tray which is accessible from the outside so that water can be added if needed. Cover the bottom of the cage with an absorptive covering or underpad. Check with a pharmacy for the flat absorbent underpads that are designed for bedridden people with bladder control problems. Arrange ahead of time to stay in a hotel that allows pets. Many bookstores carry travel guidebooks with this type of information. There are also helpful websites, such as www.petswelcome.com, or www.travelpets.com. Make sure that your dog wears a collar with an identification tag securely fastened. It should have your name, address, and telephone number. Always travel with a leash-harness for your dog. This is more secure than a collar. Familiarize your dog with the harness before the trip. Attach your dog’s leash while it is still inside the cage. Outside the cage, a frightened dog can easily run away before you have a chance to secure it. If you leave your dog unattended in hotel rooms, make sure that there is no opportunity for escape. Leave the dog in the cage or in the bathroom. Be sure to inform housekeeping personnel of your dog and ask that they wait until you return before entering the room. Use the “Do Not Disturb” sign. Should your pet get lost, contact the local animal control officer. Consider a pet identity microchip. Remember, advance planning is vital to making the trip an enjoyable experience for both you and your dog. This client information sheet is based on material written by Ernest E. Ward Jr., DVM. © Copyright 2002 Lifelearn Inc. Used with permission under license. December 14, 2016.